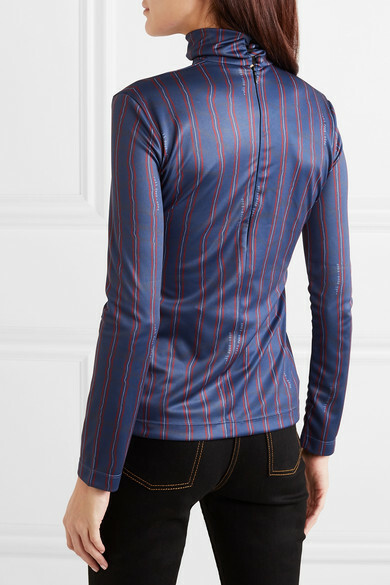 Rokh's turtleneck top is cut from stretchy satin-jersey that adapts the shape of your body. 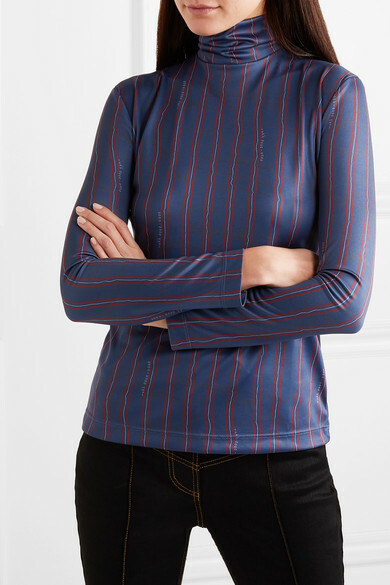 It's a great layering piece as it's fitted enough to slip underneath chunky knits and coats on chilly days. 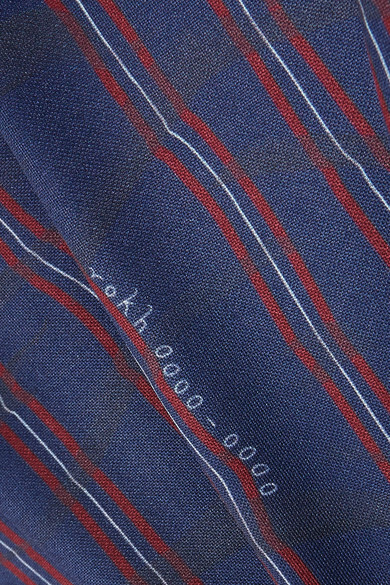 Notice how the logo is subtly printed along the stripes and disguised to look like a phone number. 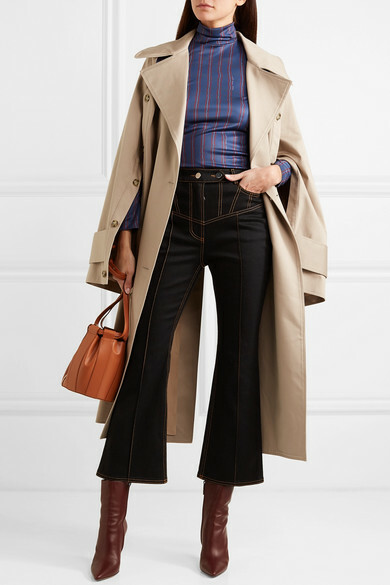 Shown here with: Rokh Trench, Ellery Jeans, LOW CLASSIC Bucket bag, The Row Ankle boots.